L Series high pressure fittings and tubing have a maximum working pressure ranging from 20,000 psi (9L-5) up to 100,000 psi (4L-1). 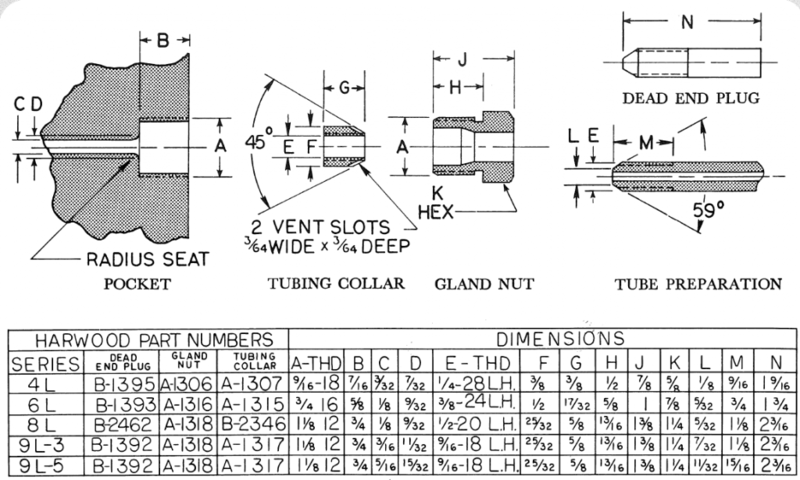 L Series connections use a tapered tubing collar and gland nut design – as opposed to the squared tubing collar and gland nut of the higher rated M series. Commonly used for low volume high pressure work up to 100,000 psi, L Series is our smallest and lowest pressure line of tubing and fittings. 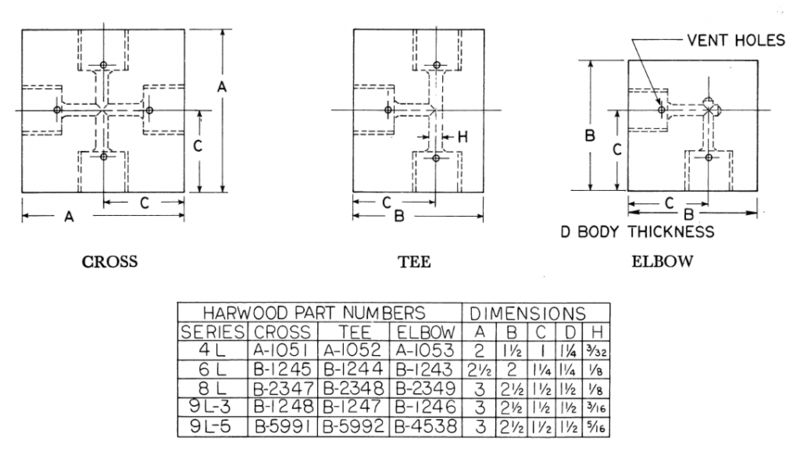 Information for L Series connections, crosses, tees, and elbows are given below. Please visit the high pressure tubing page for full details on Harwood’s L Series tubing.